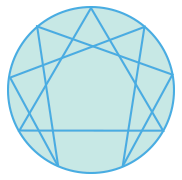 The star-shaped Enneagram (Ennea is Greek for "nine" and gram for type) is an amazingly accurate system of understanding personality that groups human motivations and patterns of feeling, thought and body experience into nine personality types. We have elements of all nine types, but one is dominant and is a stronger perceptual lens. This lens flavors how you see the world uniquely and therefore, to a large degree, how you think, feel, and act automatically. Being a type is a great strength and gift but limits the range of possible ways to experience life. Herb uses his expertise in the Enneagram to define your core type and explore how it limits your perception and ability to see the world in the strengths of all nine types. Herb can help you see positive options of thinking, feeling and acting both within and beyond your core type. "Learning about the Enneagram has helped me in all my relationships to better understand and communicate with people of different types and also to understand myself and to try to grow in my type."